Iberian wolves are a subspecies of the wolf in Europe. We can find the Iberian wolves on the Iberian peninsula, in northern Portugal and mostly north-western Spain. Although the Red List of Spanish vertebrates categorises the Iberian wolf as ‘endangered’, the Spanish Red List of land mammals categorises them as ‘low risk’. 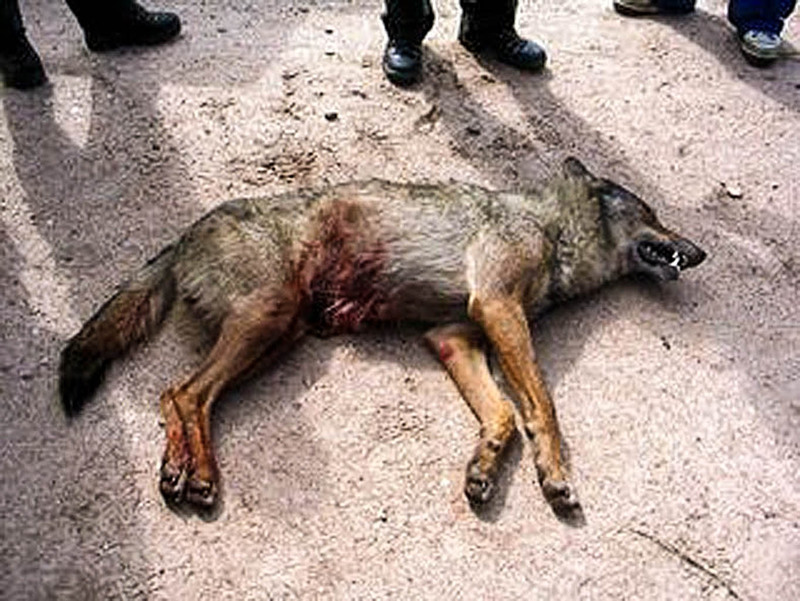 As a result, hunters can legally kill the wolves above the river Duero. Yet, south of the river the Iberian wolf is strictly protected. 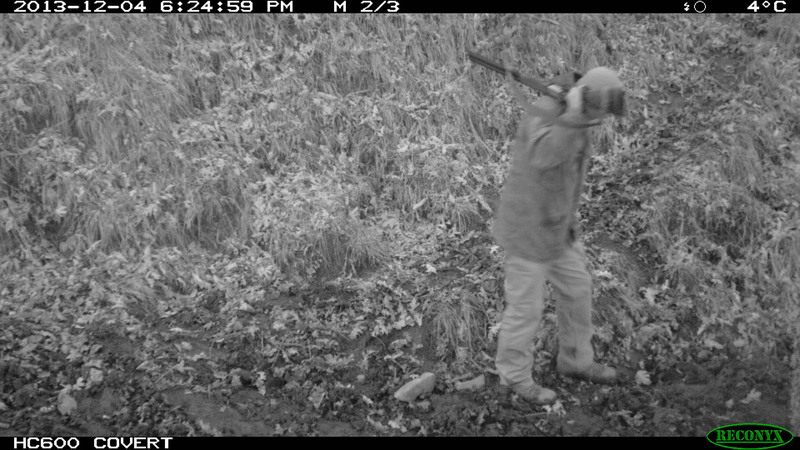 Still, illegal hunting, poison baits and traps have a big influence on the southern protected populations. This article is based on a recent publication from FAPAS and Caroline Waggershauser. Viewer discretion recommended: Some of the images in this article might be disturbing for younger audiences. The Spanish government uses official population estimates to determine the number of wolves that hunters can kill. 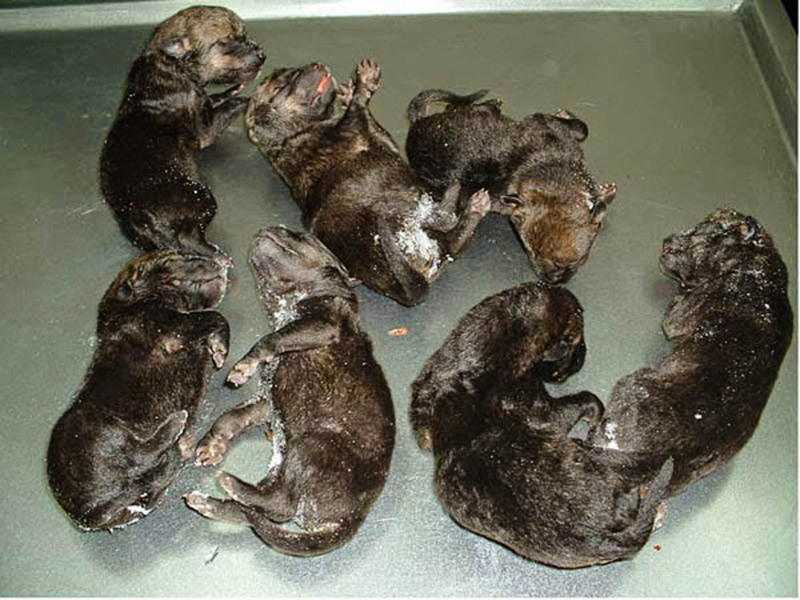 The official estimates count 2,500 wolves in Spain, based on reproductive individuals. However, the estimates are questionable from a scientific viewpoint, as not every individuals reproduces. Scientists predict that the official estimates are 30 to 50% higher than the actual situation. A scientific and governmental population estimate mutually took place in the Zamora region. 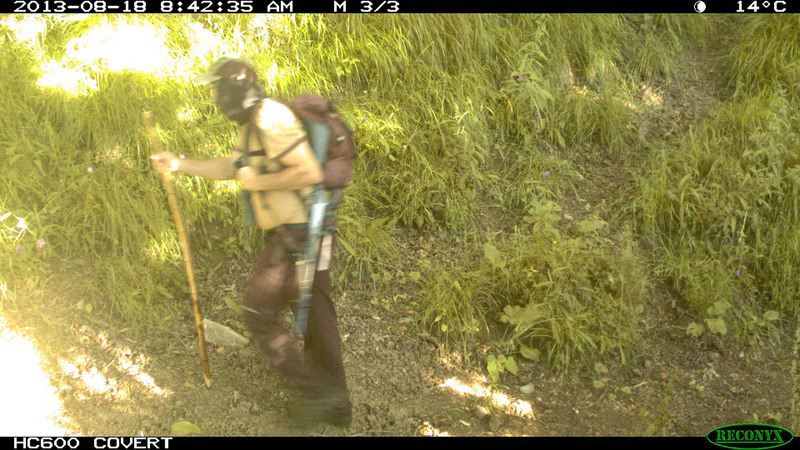 Scientific results found 5 wolf packs, while the government identified 11 wolf packs. While European wolf packs tend to be smaller (4-7 individuals), the counts used the American wolf pack system (9 individuals). Based on the 11 wolf packs, the government determined the hunting quota. 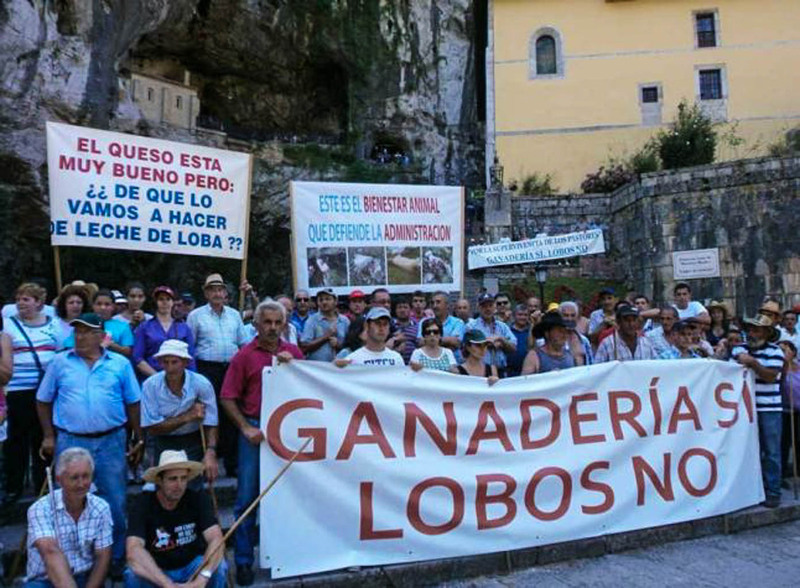 As a result, the annual quota of wolves that hunters can kill in Spain is unsustainably high, despite large protests. 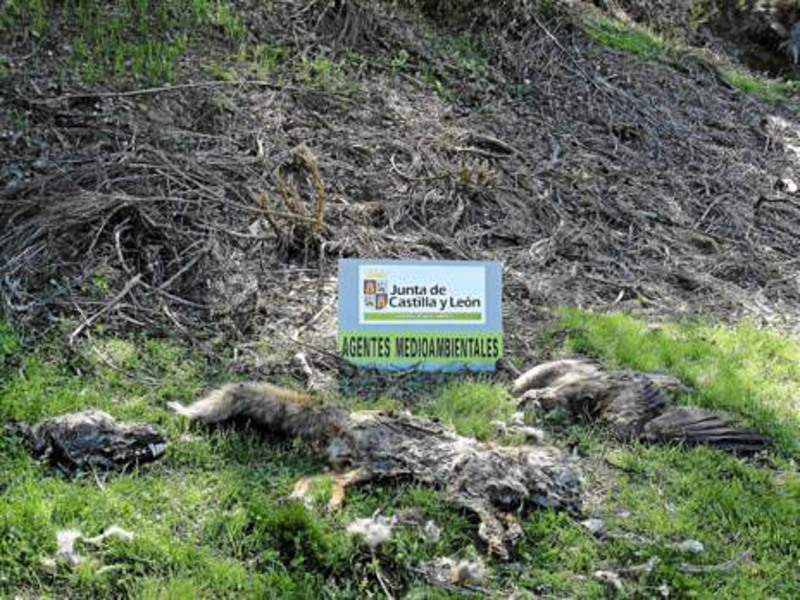 The scientific study in the Zamora region was boycotted and the scientists received even death threats, and harassment from the Regional Game Management. Fortunately, a restricted version of the study was still published. It appears that authorities display many independent studies as unreliable data. On the other hand, three governmentally financed nature conservation consultants publicise studies in hunting magazines. 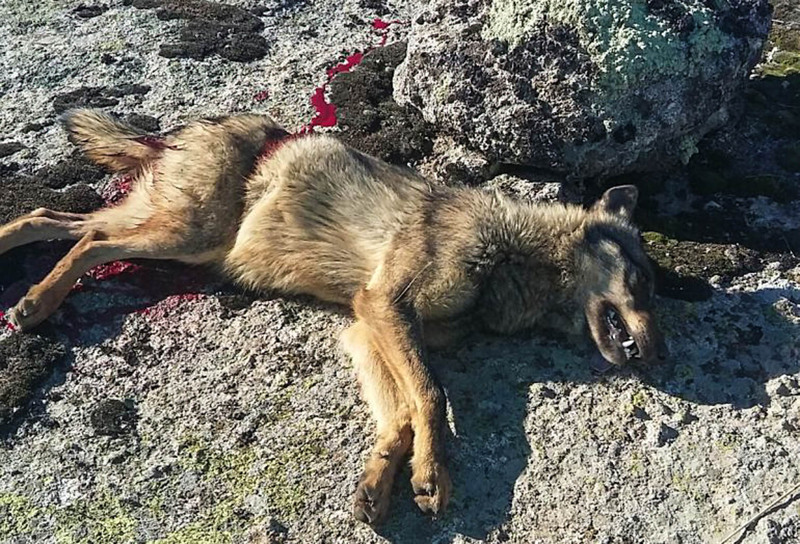 Even more alarming is that an employee from the same Regional Game Management stated that the number of killed wolves in Castilla y Leon is three times higher than the official quota and reported numbers. 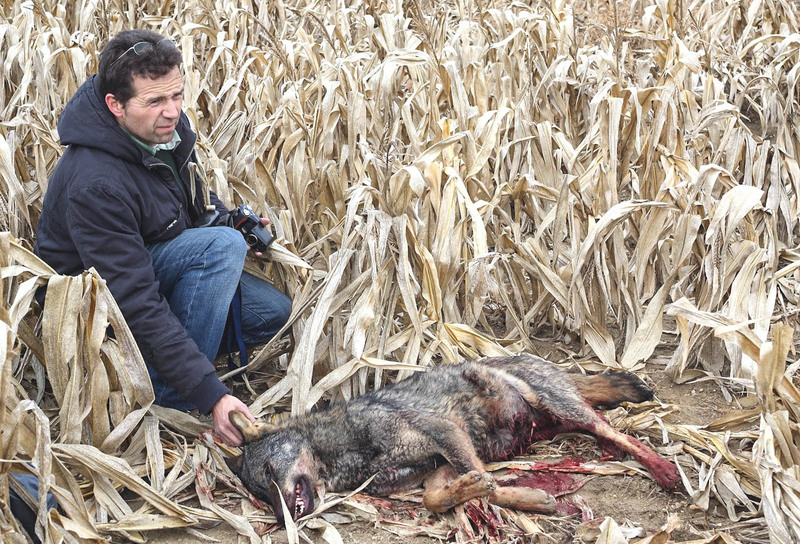 Hunters can kill 150 wolves in Castilla y Leon every year. About 50% of the wolves come from Portugal, where the law strictly protects them. 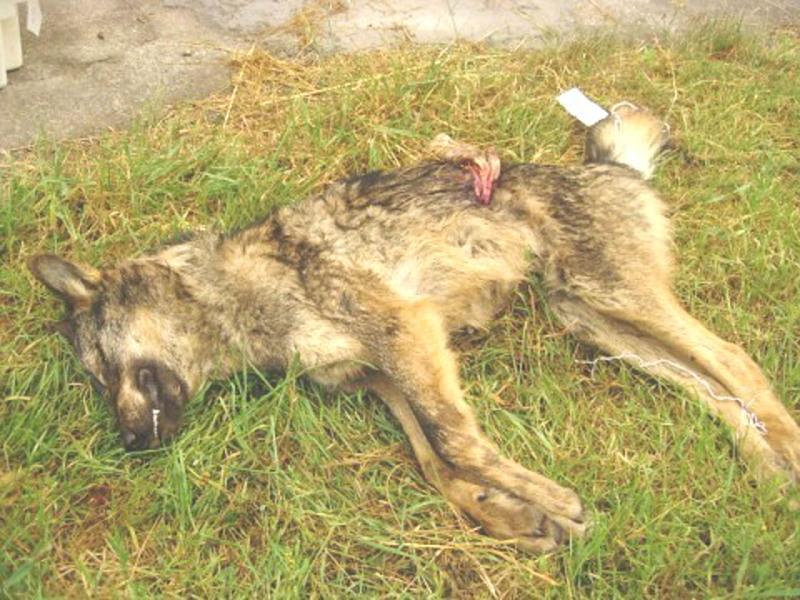 On top of the high number of legally allowed kills, come the illegal wolf kills. Published data shows that hunters killed 944 wolves between 2008 and 2014, of which 333 illegally. And this is the known number of illegal kills. The actual number of illegal kills could even be higher. 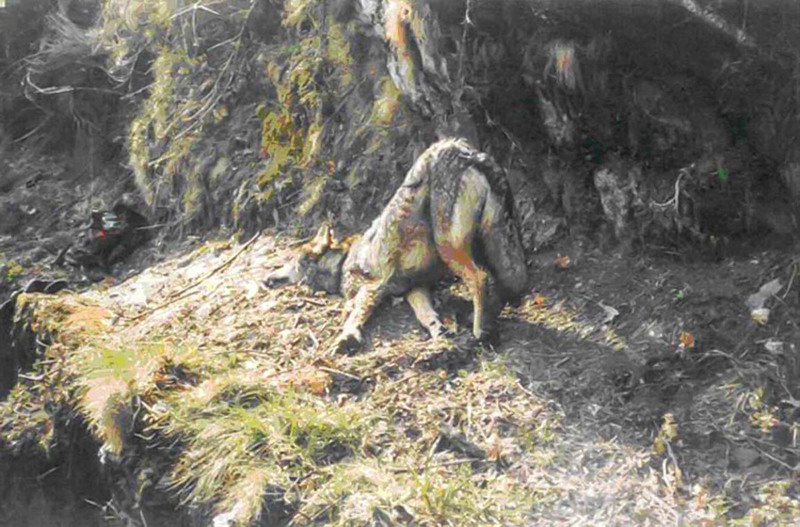 One of the most brutal ways that hunters use to illegally kill the wolf, is wire trapping. A wire trap catches the wolf around the abdomen. The wire cuts into the flesh, and blocks the intestines. While the wolf is fully alive, the wolf’s intestines start to bloat. When the pressure is high enough, either the intestines burst outside, or explode within the body. 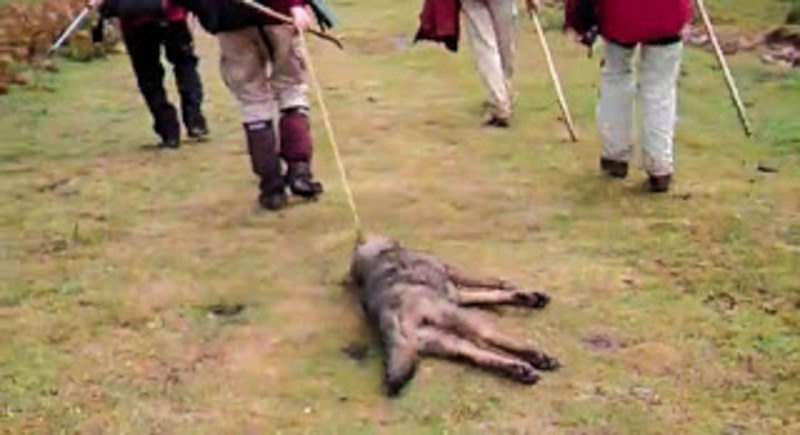 A brutal and painful way that kills tens of wolves each year. Only 3 new wolf packs established in Spain over the last 26 years, while there are supposedly 2,500 individuals. Also, the results are indicated by the fact that the Iberian wolf does not seem to explore new areas. 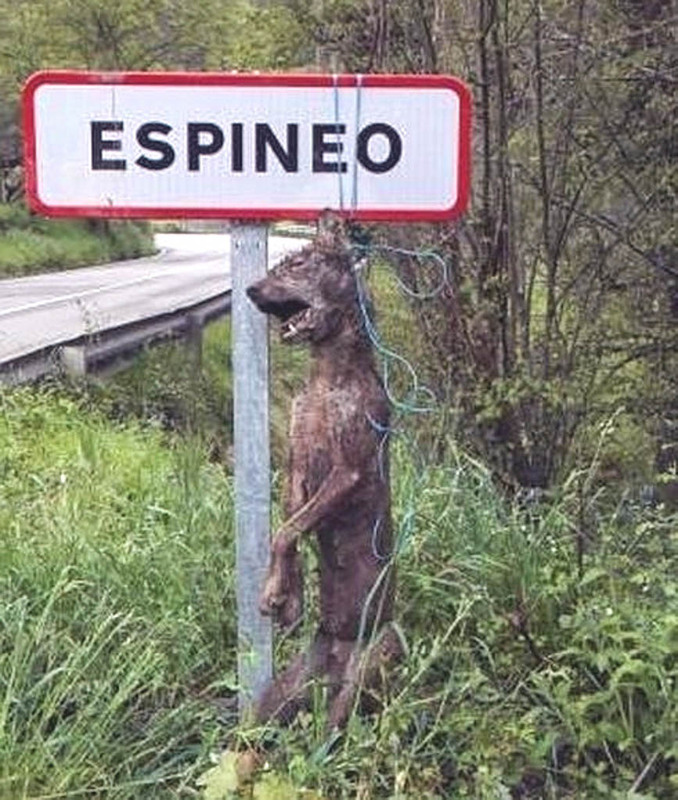 Newly spotted wolves often disappear quickly in Spain. As a result, the common wolf does not often migrate south past the Pyrenees. Neither goes the Iberian wolf north of the Pyrenees. It is remarkable, as wolves can travel up to 1,000 km, like Slavco, to find a new home. The European wolves crossed the Carpathian Mountains and Alps, but no wolf seems to be able to cross the Pyrenees. 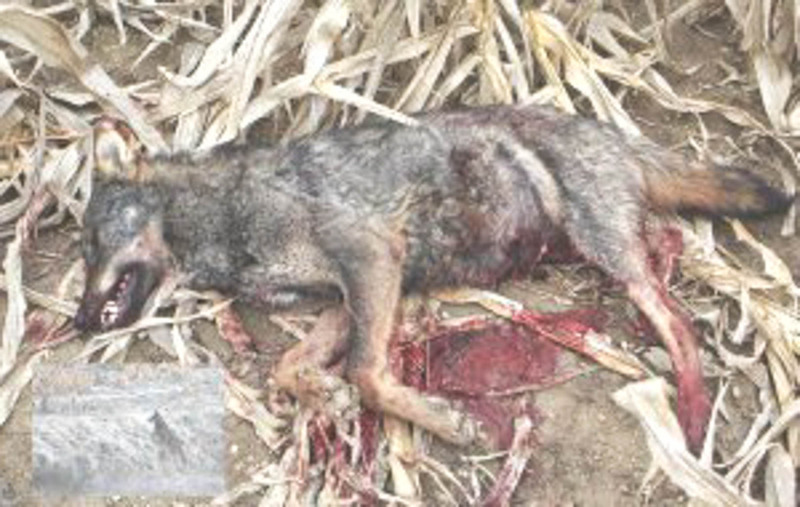 Rural populations do not welcome the wolf. 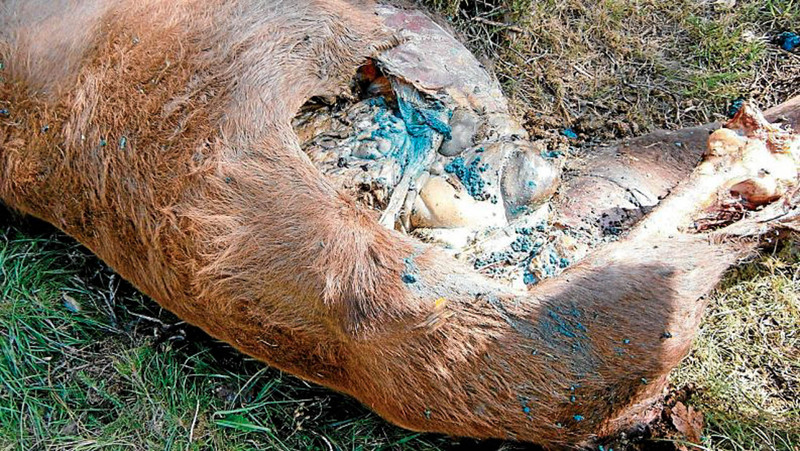 They use poisoned bait to get rid of ‘harmful’ animals. 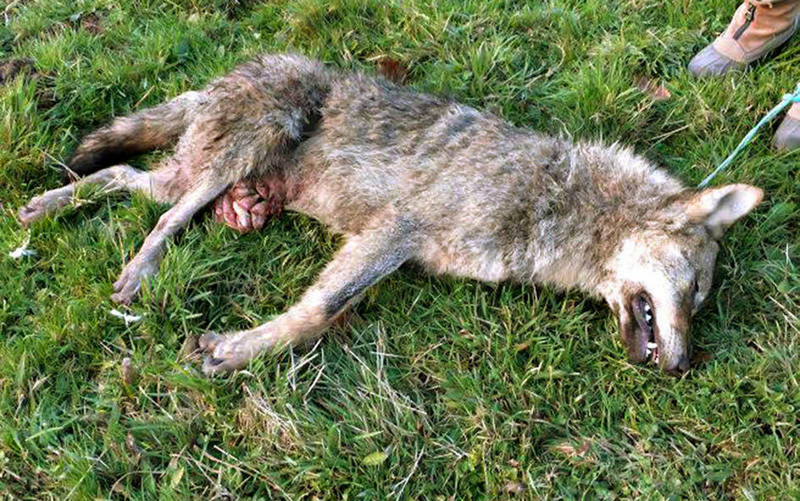 The poisoned bait kills not only wolves, but also birds of prey, pets, foxes, and even ungulates. Numerous endangered vultures already died, after eating the poisoned bait in these regions. 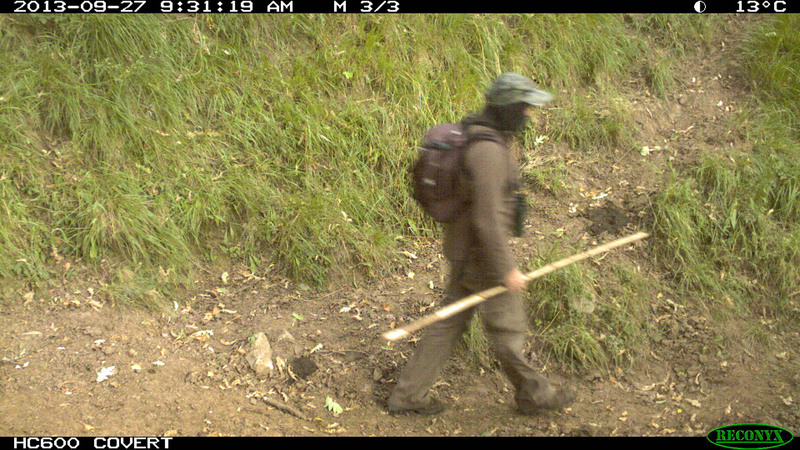 Camera traps that aim to trace wild animals, also caught local poachers and people who put out poisoned bait. Note how these people cover their face in the woods. 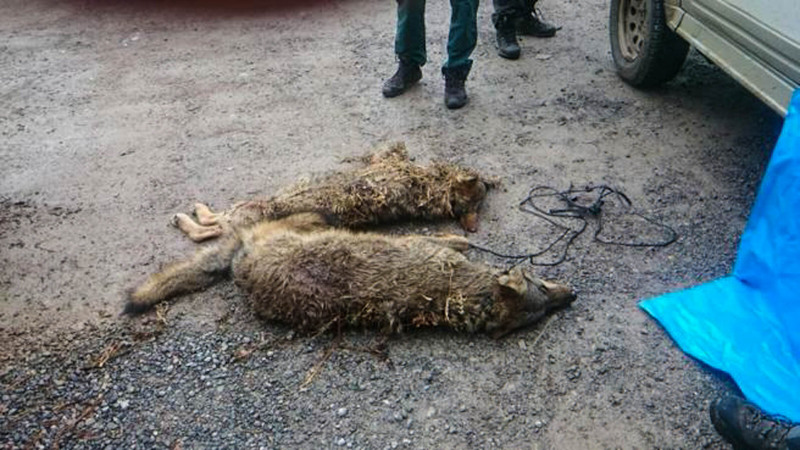 Meanwhile, poachers continue to make statements, by hanging dead wolves in public places, also like in Italy. Police investigations seem to never yield results or convictions. 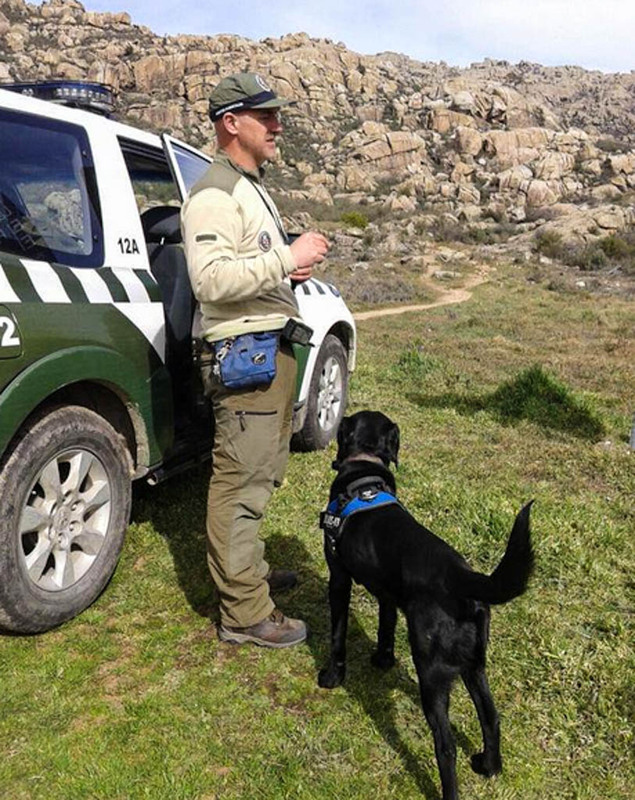 Three organisations have specialised teams with dogs, aiming to find poisoned bates. 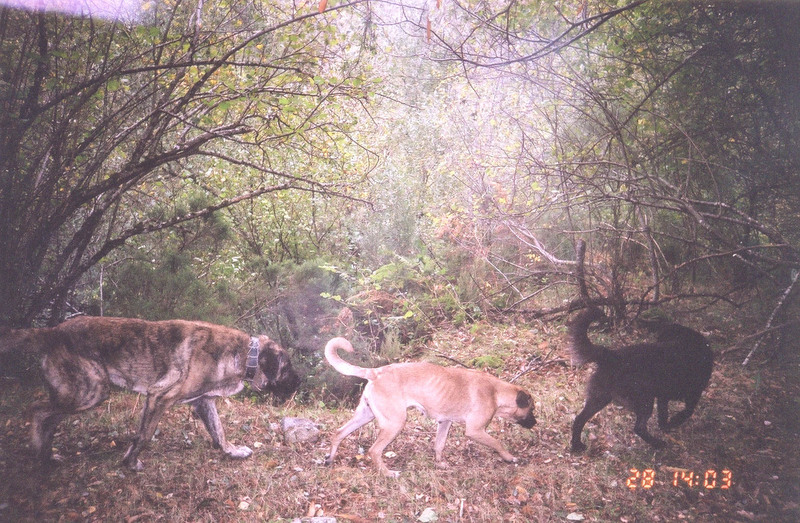 Only in 2012, the teams found almost 3,000 bates only in Andalusia. There are a lot of wandering domestic and stray dogs in Spain. Stray dogs form packs and can hunt down livestock and wild animals. However, farmers use the wolf as a scapegoat after loss of livestock. As a result, false compensations payments of 1 million euro every year take place. The lack of trained experts to determine cause of death does not seem to help the situation. Meanwhile, farmers and hunter keep pressing politicians to allow continued hunting. Even though a study from 2016 showed that livestock was 0.7% of the Iberian wolves’ diet. The Spanish government supported the lobby, but the European Commission in Brussels rejected it. 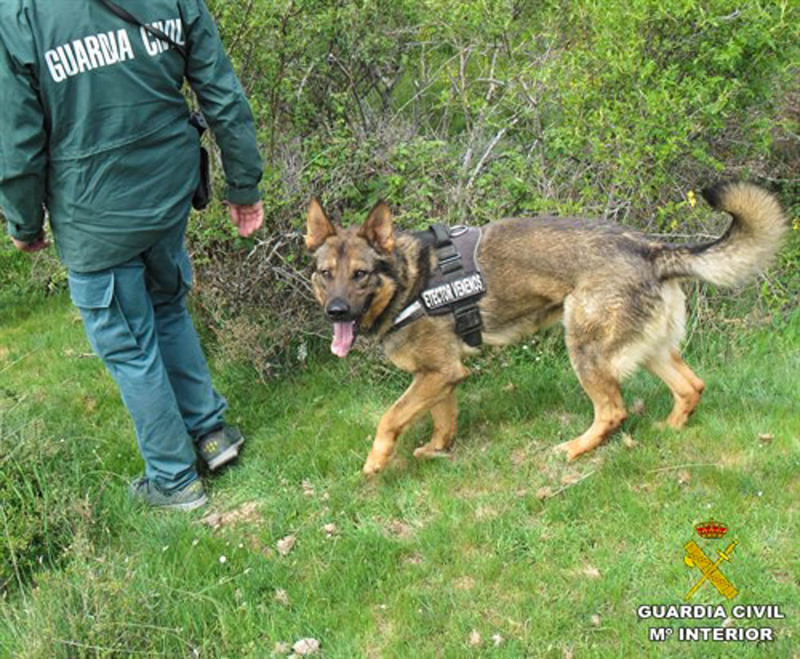 With the continued developments, the survival of the Iberian wolf is highly threatened. 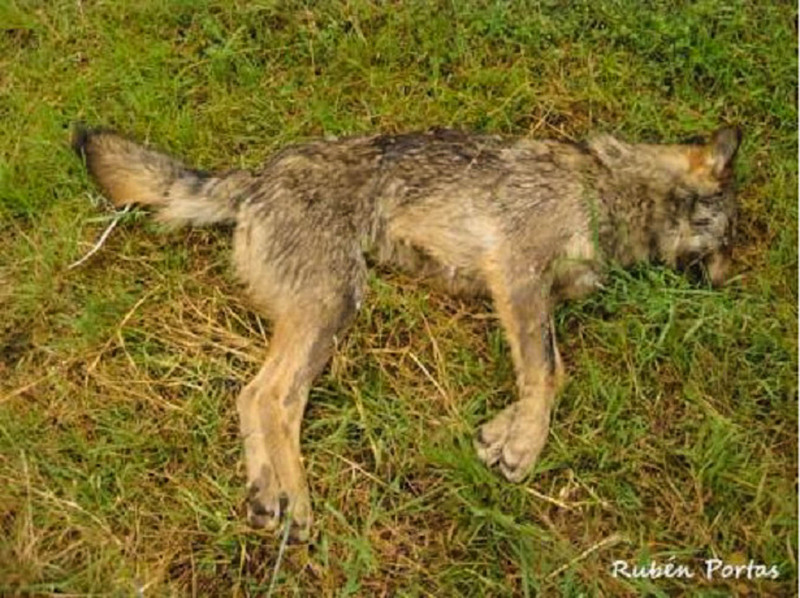 The Iberian wolf is not safe, like the common wolf in other regions in Europe. 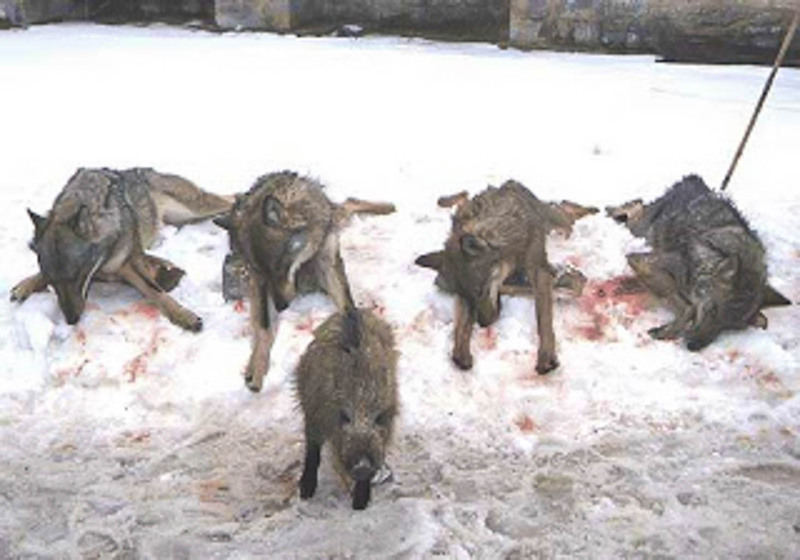 In Italy, the National Wolf Plan already wanted to kill 5% of the population. 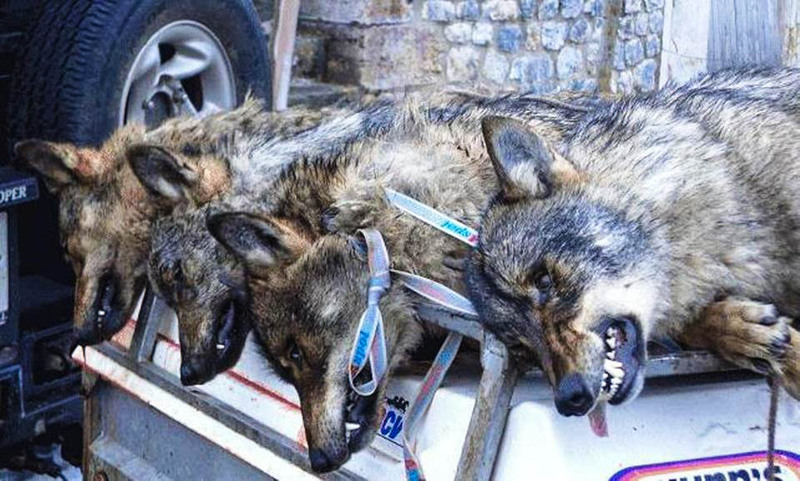 And Italian local hunters make their statements by killing and skinning wolves on display. 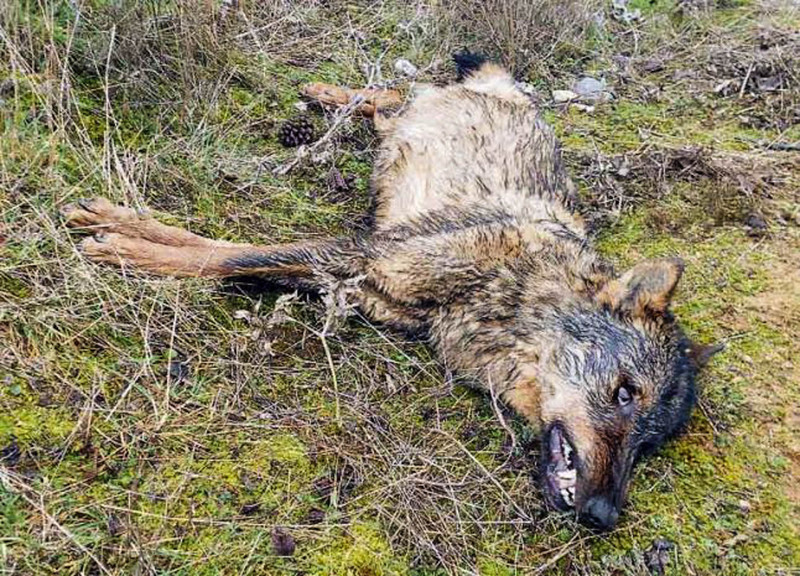 In Latvia, wolf hunts targeted adult, pregnant and young wolves. Latvia wants to keep their wolf population constant, not growing. And in Norway, the Minister of Environment allowed killing of 90% of the wolf population despite protests across the country. A recent study tried to identify the arguments why rural Norway is so firmly against the wolf. The European Union must act. The situation requires proper education, reliable data, honest communication, law-enforcement, and financial support for rural areas to achieve a better co-existence with wolves and EU people. After all, the wolf will adapt to live among Europeans. Now the Europeans need to adapt to live alongside the wolf. People are disgusting. Why would you make an innocent creature suffer that much? Shame on them, God will judge you. I am disgusted at those in positions of power in the EU, who allow backward nations like Spain & Latvia to flout its laws so easily! What on earth is the point of having members sign up to its laws if they are not going to uphold them?? I live in the UK and it took 20 years for us to re-introduce the Beaver so the Wolf, which was present here in great numbers until 1782, stands zero chance of ever coming back! These animals should only be re-introduced once systems are in place to protect THEM from HUMANS! Otherwise we should just slaughter them now. 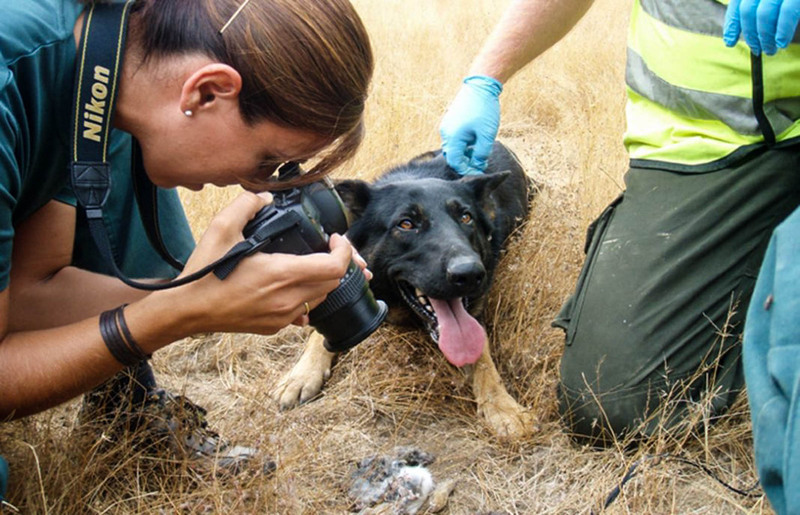 There should be crime units paid by the EU dedicated to dealing with wildlife crime! And education of the next generation should be enforced on the curiculum of every member state. But the EU is a joke! Its good at taking £59 billion from nations like the UK every year, but spending that cash seems to be a real problem, they only seem to give it back to agriculture, fisheries and hunting fraternities! Its a joke! And one reason why i voted to leave the EU! Hi, in Europe the European Commission clearly stated that hunting and culling is the same: reducing the numbers of an animal in absence of natural predation. Eradicating the wolves will therefore safeguard the hunting and culling for the future. could you provide a link to that study / paper? People in Spain who kill wolves in the most grotesque ways are far from normal, those devil’s must be stopped immediately. The wolf is created to the earth to fulfill its task, humans have no right to eradicate God’s creation 🙁 Let the wolf live in peace in the nature……. the facts are clear and everyone who wants to see them will find them. But too often we look the other way until we are affected ourselves. Congratulations for this article. Very clair and close to the reality. Thanks you very much for you work!! !